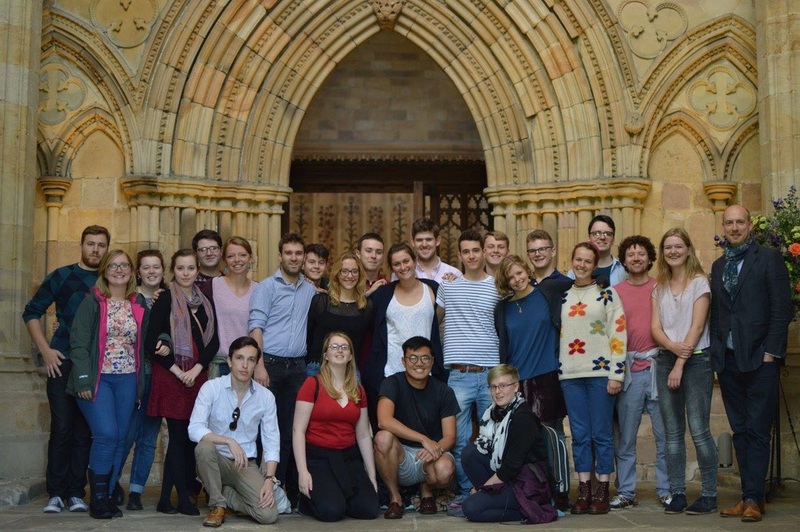 In addition to its regular concerts in Oxford and around the UK, Schola has undertaken a wide range of longer concert tours throughout the UK, Europe and further afield. In recent years this has included tours to France, Poland, China, Argentina, Israel, and Mexico, as well as around the UK. More details of some of these tours can be found below, along with photos and concert repertoire. 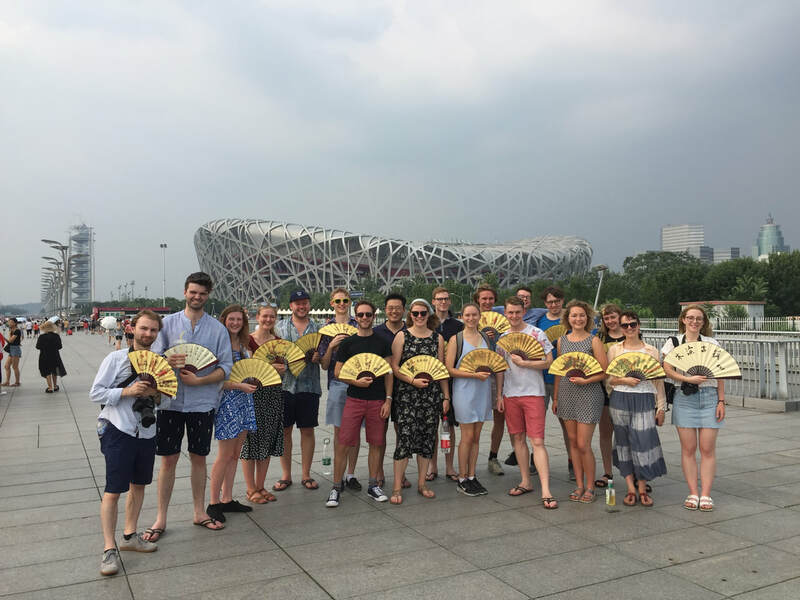 In July 2018 Schola returned to China for another very exciting tour. 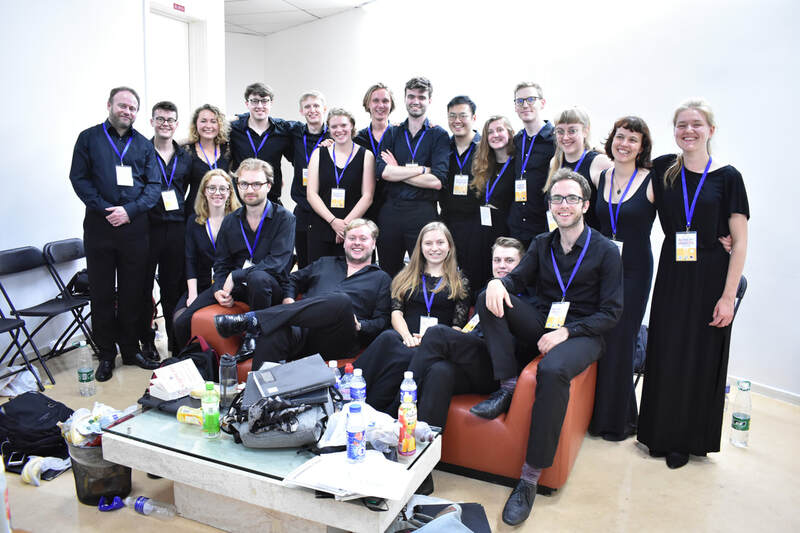 We were invited to perform as a demonstration choir at the 14th China International Choral Festival (CICF) in Beijing, and also at the Yellow River Choral Festival in Lanzhou. These invitations led to Schola performing at the opening ceremonies of both of these festivals (one of which was held in the 2008 Olympic Basketball stadium) as well as giving solo recitals at prestigious musical venues, such as the Beijing Concert Hall, and participating in choral conducting masterclasses, given by our director, Steven Grahl. And singing aside, we had the opportunity to explore sights of Beijing like the Forbidden City, Tiananmen Square and the Olympic Park, as well the Great Wall of China. Following the success of 2015's tour, Schola once again hit the road across the UK, taking its unique enthusiasm and musicality into schools and churches up and down the country. Performing to packed halls and working with several hundred students from six different schools, the choir relished the chance to take a diverse programme featuring everything from Bach to Panufnik to the heart of the singers' hometowns. Schola was given a fantastic opportunity with to perform with the Mexican Orquesta Sinfónica Nacional for two stunning performances of Haydn's 'Seven Last Words of the Cross' at the Palacio des Bellas Artes alongside four young Mexican soloists. Schola was also welcomed by enthusiastic receptions in three other performances venues including the Teatro del Bicentinario in Léon, Santo Domingo Church in Mexico City and the Teatro Angela Peralta in San Miguel. This tour was a once in a life time opportunity and was generously supported by Anglo Arts and the Festival Centro Histórico. 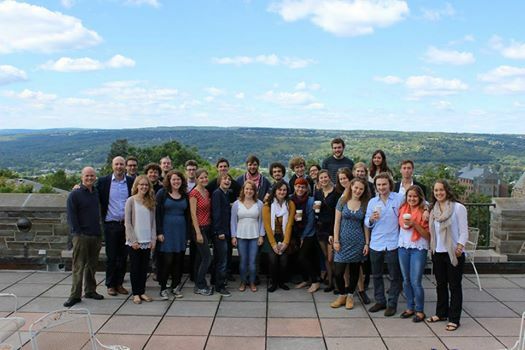 ​For the first time in 5 years, Schola took to the English and Scottish motorways on a tour of the UK. 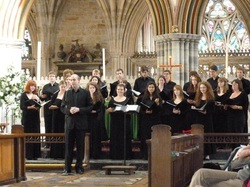 Over the space of 9 days, the choir travelled over 970 miles whilst passing through 34 UK counties. Outside the hours spent on the road, the choir performed 8 concerts and took part in 3 workshops with local schools and choirs. After an over-twenty-year hiatus, Schola Cantorum returned to the States in 2014 with a fantastic tour that took the choir on an epic roadtrip of nearly 2000 miles across nine states. A landmark occasion for the choir, it gave the singers an opportunity to meet and work with students at several different universities, as well as eight wonderful concerts and eight standing ovations! These concerts featured masterpieces by Herbert Howells (Take him, earth, for cherishing), Hubert Parry (Songs of Farewell), and Charles Villiers Stanford's little-heard Latin Magnificat, a tour de force of the a cappella repertoire on the same ambitious scale as Bach's great motets. 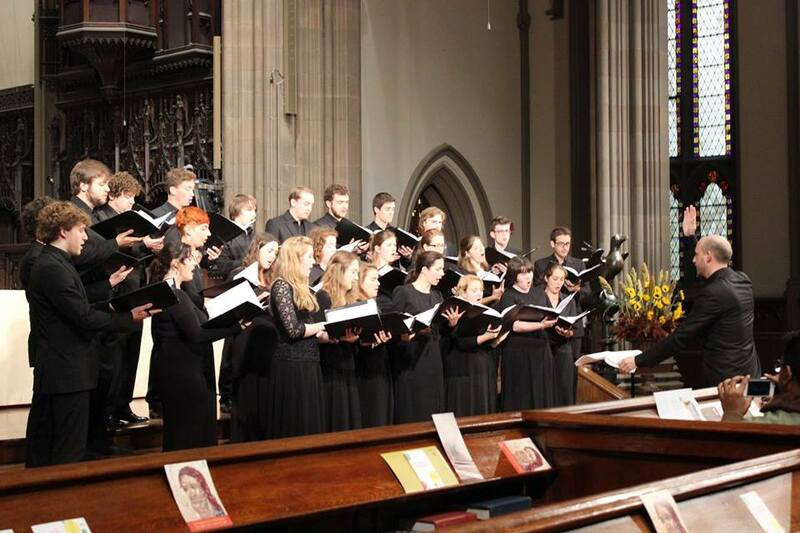 The programme also included motets from the English Renaissance by composers such as Orlando Gibbons, Thomas Weelkes, John Sheppard and Thomas Tallis, as well as works written by living composers who are closely associated with the modern choral scene in Oxford. The concerts featured the world premiere performances of a stunning choral work by Roderick Williams, O Radix Jesse, and the American premiere performances of Te lucis ante terminum, a new work by the choir's conductor James Burton, written to commemorate the anniversary of the outbreak of the First World War in 1914. In July 2013, Schola travelled to France to give a recital at the St Donat Festival Bach en Drome, with renowned French composer and organist Thierry Escaich on the organ. The programme for the concert included Escaich's own Three Motets for 12 mixed voices and organ, Britten Rejoice in the Lamb, and Poulenc Litanies à la Vierge Noire, as well as motets by Tallis and Faire is the Heaven by Harris. Schola were invited by the Orchestra of the Age of Enlightenment to take part in a collaborative concert as part of Valletta International Baroque Festival in January 2013. 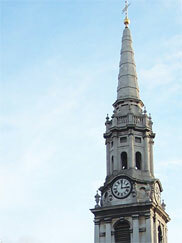 The repertoire included Vivaldi 'Gloria', Bach 'Magnificat', and Handel 'Zadok the Priest', as well as Bach's Suite no. 4 in D major, BWV 1069, and an encore by Benigno Zerafa, a Maltese composer. The choir went on a short tour which culminated in a concert in St Endellion Church on 15th September. Music included Vaughan Williams ‘Mass in G Minor’, J.S. Bach’s ‘Komm, Jesu, Komm’, Poulenc’s emotionally charged ‘Quatre motets pour un temps de penitence,’ and the little-performed Magnificat for double choir by Charles Villiers Stanford, as well as Holst 'Nunc dimittis', Stanford 'Beati quorum via', Burton 'Psalm 67' and Tallis 'Loquebantur variis linguis'. Schola performed a large-scale performance of the St Matthew Passion under the baton of the distinguished American conductor, John Nelson. The choir performed alongside one of Schola's most prestigious alumni, mezzo-soprano Christine Rice and the Ensemble Orchestral de Paris. 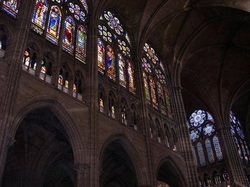 The performance, part of the Festival de Saint-Denis 2011, was webcast live on www.medici.tv and has also been released on DVD, available for £30 from info@schola-cantorum.net. For more information on this please see our recordings page. Drawing Schola Cantorum's 50th anniversary year to a close, the choir gave concerts in Kent and London in early September with a programme celebrating the art of music, including works by Byrd, Parry, Britten, Elgar and Harris. The concerts also included the Kent and London premieres of James MacMillan's 'Bring Us, O Lord God', commissioned by Schola in memory of Lydia Press, a former member of the choir. Schola Cantorum launched its 50th Anniversary year with a celebratory series of performances all over the UK from Edinburgh to the New Forest during late September 2009. Concerts featured a wide range of choral music written by composers closely associated with the University including John Taverner, who was the director of music at Christ Church College in the 1500's, and Hubert Parry who was professor of music at the University. Also including exciting recent works by Oxford graduates Howard Goodall, Quentin Thomas and Matthew Martin, Schola Cantorum's young singers performed an unforgettable series of concerts, led by their inspirational conductor James Burton who is one of the UK's finest choral conductors. This tour was an excellent opportunity to provide a series of workshops and master-classes with schools and choirs spanning the length of the UK. Led by James Burton, the choir held workshops hosted by Fettes College, Glenalmond College, the Durham Singers, and Haileybury College alongside its eight concerts and recitals. With this educational series the choir aimed to encourage and inspire high-quality singing further afield than its Oxford base usually allows. 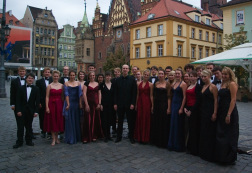 In September 2008, Schola travelled to Poland to perform at the Wratislavia Cantans, a major European festival of classical music, joining artistic director Paul McCreesh, the Gabrieli Consort, the Wrocław Philharmonic choir, the Poznań Boys’ Choir, a chamber orchestra formed of some of Britain’s most distinguished instrumentalists and the National Orchestra of the Polish Radio in two performances of Britten’s War Requiem. In addition to the Britten performances, Schola travelled to towns in the surrounding region of Silesia to sing four a cappella concerts of our own. As the theme of the festival was British music, our a cappella programme sought to combine masterpieces from our own long and rich tradition of choral music with important Polish works from the Renaissance to the present day. A journal of the tour with concert dates and venues, as well as the full concert repertoire and details, can be downloaded here. Schola were invited to Israel to give two performances of Handel's Israel in Egypt with the Jerusalem Symphony Orchestra, conducted by Laurence Cummings. They also travelled to Tel Aviv where they performed in the city's arts centre. Schola travelled to China in September 2007. It was the first official trip to China by an Oxbridge Choir and aimed to promote cultural exchange between UK and China before the Olympics in 2008. Highlights included performances in the Forbidden City Concert Hall in Beijing, and the Shanghai Oriental Arts Centre. A copy of the repertoire from the tour can be downloaded here. 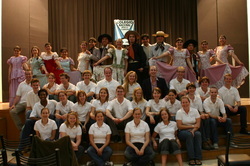 Following its successful tour in 2004, Schola was invited to return to Mexico in 2006. 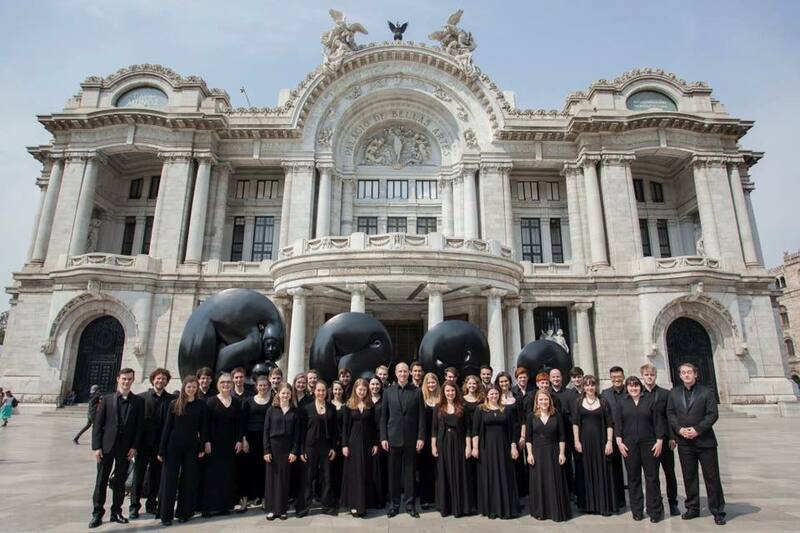 At the invitation of the British Council, OFUNAM (the resident orchestra at La Sala Nezahualcoyotl, Central America’s most renowned concert hall), and the Anglo-Mexican Foundation, the choir undertook a highly prestigious series of concerts, including both collaborations with OFUNAM and a series of a cappella concerts. More information and a copy of the repertoire from the tour can be downloaded here. Schola were invited by the Association Argentina de Cultura Inglesa to undertake a two week tour of Argentina in September 2005, supported by the British Council and HM Ambassador to Argentina. A variety of performances took place in Buenos Aires: in the Teatro Colon (South America's largest concert hall); in the Cathedral of San Isidro; in the Iglesia del Pilar, the oldest church in Buenos Aires; in the British Arts Centre; and in la Casa de la Cultura. different styles and methods of choral singing. 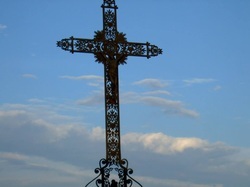 In September 2004, Schola performed six concerts in Mexico. Our aim was to bring music from the English choral tradition to an audience who had perhaps not experienced live choral music. We also sought to perform music by contemporary British composers, such as Francis Grier, Kenneth Leighton and James MacMillan, some of whose pieces we premiered in Mexico. At the same time, we charted the development of sacred music in our programme ‘Cinco siglos de música sacra’. From John Taverner’s ‘Dum transisset Sabbatum’ through Allegri’s ‘Miserere’, Bach’s ‘Komm, Jesu, Komm’ and music by Brahms and Rachmaninov to Francis Grier in the twentieth century. Grier was organist of Christ Church Cathedral, Oxford, almost exactly five hundred years after John Taverner had occupied the same post.